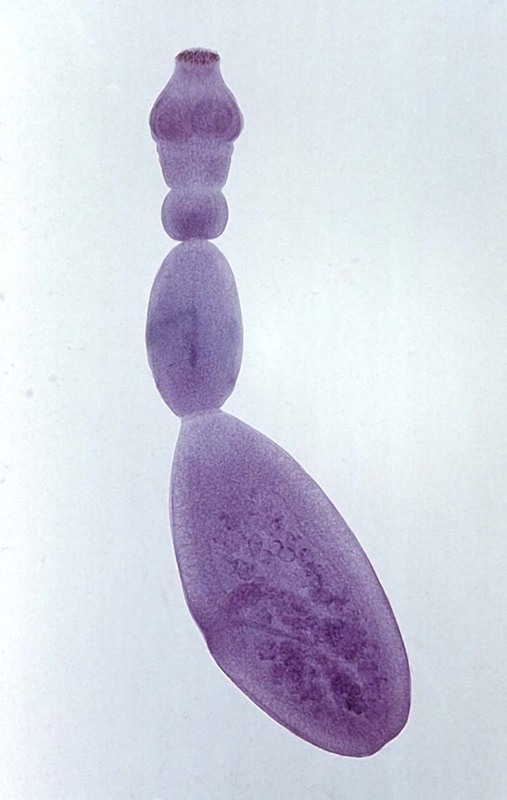 Alveolar hydatid disease is caused by a larval stage of Echinococcus multilocularis, a small cestode for which foxes (and occasionally dogs and cats) serve as final hosts. The life cycle is similar to that of E. granulosus. In contrast to E. granulosus, rodents (voles, field mice, ground squirrels and shrews) serve as intermediate hosts. Humans become an accidental intermediate host after ingestion of cestode eggs (by eating contaminated berries or through contact with foxes). The primary site of infection is the liver. In contrast to E. granulosus (mostly with a single cyst), an infiltrative cyst is produced which grows like a tumour.